Since 1979, Alcon has been the trusted partner of Orbis, an international charity that fights blindness around the world. Over the years, we have donated state-of-the-art ophthalmic equipment, pharmaceuticals and supplies for the unique Flying Eye Hospital and its partner hospitals around the world. 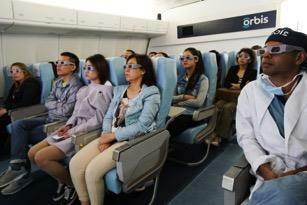 The Orbis Flying Eye Hospital is the world’s only mobile ophthalmic teaching hospital on board an MD-10 aircraft. 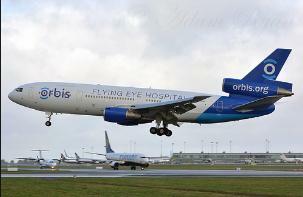 Following several stops in the US, Asia and Ireland last month, the Orbis Flying Eye Hospital spent a week on show at Stansted Airport in order to promote a campaign to provide better healthcare in the developing world. We would like to say a big thank you for all the volunteers who made this visit such a great success! In this month’s Novartis story, we explore why this unique Alcon partnership makes a real difference to people’s lives. 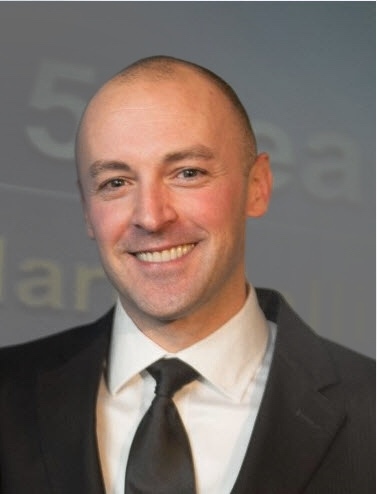 Equipped with Constellation and Centurion vision systems, as well as other Alcon products, the fully accredited Flying Eye Hospital is a one-of-a-kind hybrid of avionics, engineering and eye care. The plane has been custom designed to bring the best of medical technology and training directly to people in need in the developing world. The Flying Hospital makes roughly seven to eight trips each year, not only treating patients but also helping to train thousands of eye health professionals. 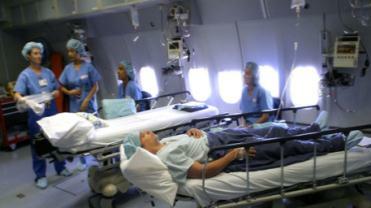 The Orbis team comprises over 400 expert medical volunteers from 30 countries, who train local medical teams both within local hospitals and on the aircraft, emphasising quality and safety standards for patient care. On a recent trip to Shenyang, nearly 200 patients were treated, 20 doctors received hands-on training and another 200 observed to strengthen their skills. In the last three decades, Orbis has trained more than 325,000 doctors, nurses and other medical staff in over 90 countries.